For those of you that don’t know or have never shot ABT before I will try to enlighten you. In some ways it is similar to Down The Line (DTL) but a few more skills are required and certainly quicker reactions are needed. Targets are thrown from a single trap underground and unlike DTL the trap will throw the target in any going away direction and at any height. So you could get a high and to the right clay or my nemesis a low to the left target these are all thrown randomly so you do not know what you will get. The targets are also considerably faster than DTL birds but you do get full use of the gun and whether you hit the target with your 1st or 2nd shot it counts as a hit you do not get additional points etc for hitting it with your 1st shot. 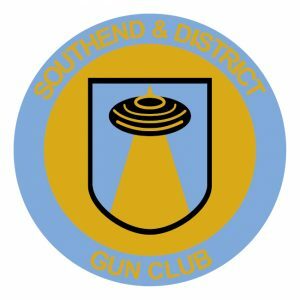 On the 8th of April 2018 Southend Gun Club held their Automatic Ball Trap Club Competition and with 2017 competition ending in a shoot off between Trevor Haywood and Phil Butcher expectations were high for a great shoot. The weather was ok with a slight breeze changing the angle of the targets occasionally making the shoot trickier than you would expect. A great day was had by all and on behalf of the members I would like to thank the Committee for setting up the Competition and big thanks must go to Trevor Smith, Tony Matthews, Tony Mihill and & Roy Russell for refereeing on the day.